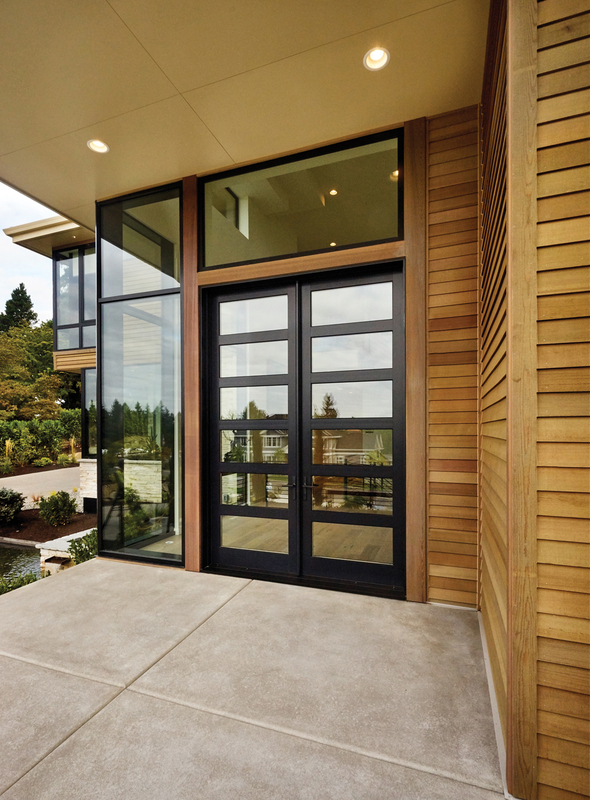 Kolbe Windows & Doors is showing extraordinary entrance doors at the NAHB International Builders' Show in booth #W3870, highlighting design, customization options and finishing touches. "A grand entrance adds distinction and makes a powerful impression. 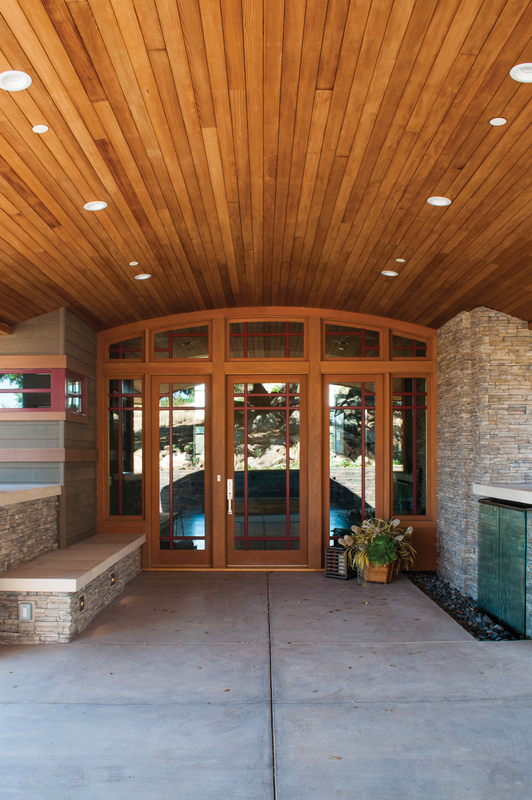 Our built-to-order entrance doors are designed to your specifications, offering numerous customization options with an expanded hardware selection," states Cindy Bremer, vice president of marketing at Kolbe Windows & Doors. Kolbe has partnered with Baldwin® Hardware to offer enhanced door hardware options that embellish any entry and complement every design and aesthetic. This expanded offering puts the finishing touch on a personalized, custom entryway, with a variety of styles and finishes available. "Whether you choose a traditional or a contemporary style, our entrance doors are designed to your specifications so no two are alike. Personal marks of distinction include wood species, stain color, shape and size, divided lites, specialty glass, hardware and functionality," states Bremer. 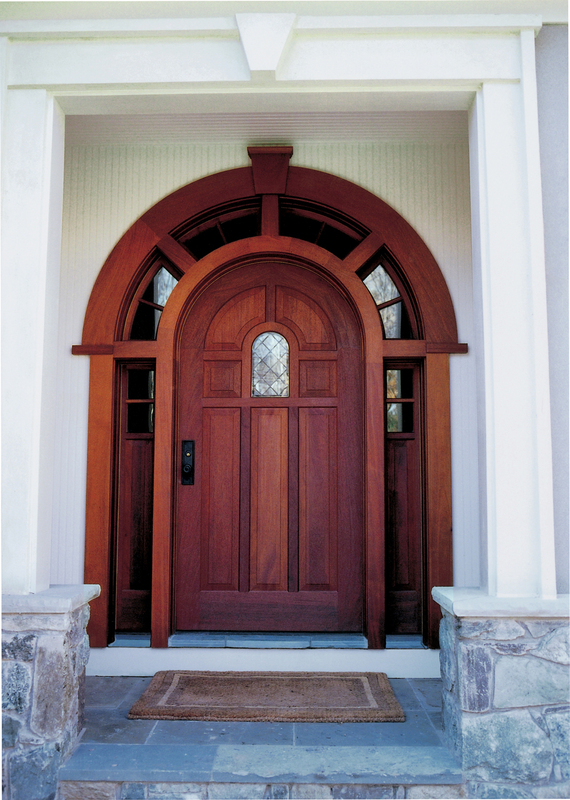 "The decorative Baldwin handles add the finishing touch to highlight your entrance." An Ultra Series outswing door invites you into booth #W3870, in a two-wide configuration with sidelites. The exterior is finished in a vibrant Papaya color, with a crisp, Bright White interior. The unit features IPD4 laminated, impact-resistant tempered glass, with 4-1/2-inch performance divided lite bars. Multi-point Baldwin Richland-style hardware in Antique Nickel adds an elegant accent to this eye-catching door. On the traditional end of the spectrum, a Heritage Series inswing door with sidelites and custom wrap transom displays elegant style. The Alder wood exterior and interior are finished with custom stain, while beveled glass and true divided lites in the sidelites elevate the aesthetic. The door's multi-point hardware is electronically activated with a fingerprint swipe for easy, secure operation, with a München handle set in Rustic Umber. A Mahogany wood pivot door with a Rockwood® GeoMetek locking pull handle in Satin Stainless finish and energy efficient, tempered LoE2-270 reeded glass shows Kolbe's impressive capabilities. 5 feet wide by 9 feet tall, the specialized pivoting hardware allows easy operation in spite of its large size. "The entrance to your home is an outward expression of your style and personality," says Bremer. "Kolbe offers numerous options for creating a truly one-of-a-kind entrance that makes a long-lasting impression." For complete information and product details on Kolbe's extraordinary entrance doors, please visit www.kolbe-kolbe.com.